Product - MKZ4 - Cerevo USA LLC. 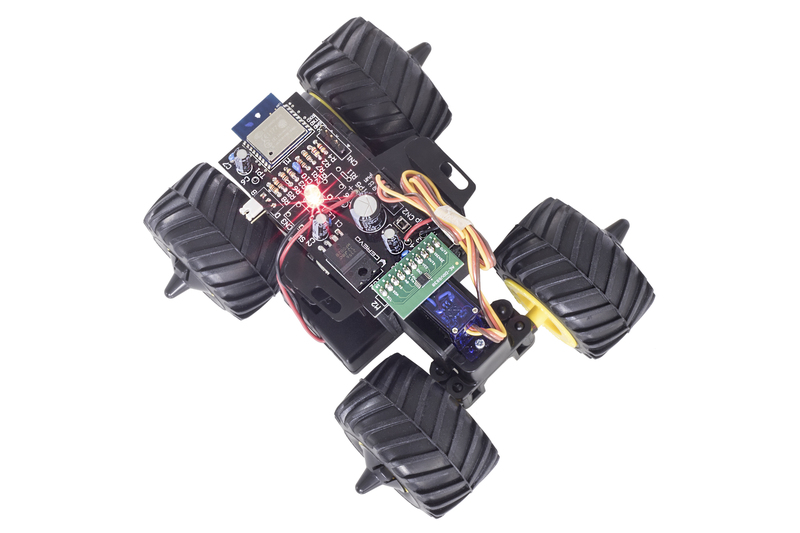 MKZ4 is a hack kit for the Tamiya Wild Mini 4WD series of toys, with this kit you can learn how to program and how to develop an IoT gadget. The MKZ4 kit includes a wireless module “ESP-WROOM-02” with a SoC “ESP8266EX”, a special circuit board for Mini 4WD toys, special steering parts to enable motion and turning controls and other parts necessary to customize and hack the toy made by Tamiya. To assemble the kit you will need tools such as a soldering iron and also a serial USB connector for program writing. Please purchase separately if you have do not own already. MKZ4WK is an additional kit that can be used with the MKZ4 - Tamiya Wild Mini 4WD Hacker Kit. When used together, MKZ4WK can send a program to the MKZ4 wireless module from a browser.